Our single and dual processor Linux Dedicated Server Hosting plans with FREE SSDs give you scalability, flexibility, and reliability. We have state-of-the-art data centers, one in Washington D.C., and the other near One Wilshire in Los Angeles. Our fully managed, custom dedicated servers come installed with LAMP stack. The USA Dedicated Server Hosting team monitors your server, and is available for custom configurations. We include cPanel and WHM with all Dedicated Servers at no additional costs. + SSD and RAM Promo! Samsung SSD’s give you faster read/write speeds, between 94k-98k read and 88k-90k write IOPS, and can push through significantly more data than a standard HDD. All our servers come with the FREE SSD option. Corero based system to defend against DDoS attacks that can lead to server downtime. Smart Routing technology with multi-layer high performance switches and various scripts and APIs change the routing on-demand within the network. InMotion Hosting serves customers from all over the world. Here are some examples of why these countries picked InMotion Hosting as their premier hosting provider. We provide customer service 24/7/365 via Skype, phone, online chat, or email. Even if you prefer to avoid making an international phone call, the convenience of our live chat system puts you directly in contact with an expert who's dedicated to helping you find solutions! InMotion Hosting offers multiple ways of payments for our international customers. Chat with us today to learn more about our payment options. InMotion Hosting is directly on the Los Angeles and Washington, D.C., Internet Exchange Point (IXP),unlike other hosting companies that are hundreds of miles away from the closest IXP. You can rest assured that your site’s response times are one of the fastest in the industry. Other companies provide cPanel and Web Hosting Manager for an additional monthly fee - we don’t. cPanel and WHM are included free. It's no secret that the closer you are to an Internet Exchange Point(IXP), the faster your ping time becomes. That is why InMotion Hosting is directly Los Angeles, unlike other hosting companies that are hundreds of miles away from the closest IXP. You can rest assured that your site’s response times is one of the fastest in the industry. Choice of data center ? Which Data Center Location Should I Choose? Our data centers in Los Angeles and Washington, D.C., reside extremely close - quite literally across the street - from the Internet Exchange Points (IXP) in those areas. Other hosting companies often have data centers hundreds of miles away from the closest IXP, leading to higher latency. Web Server - Host your web services on one of our dedicated servers and pair it with a worldwide CDN to have the absolute best load times worldwide. 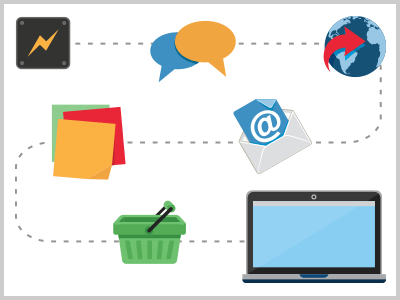 Mail Server - The mainstay of most businesses, an email server close to your location can lead to less latency, meaning faster sending and retrieval of email. Mobile App Hosting - Mobile devices rely on highly compressed wireless ISP connections that often experience high rates of latency. As a result, and to reduce latency, you should locate the server hosting of your app as close to your user-base as possible. Need more information? Contact our Technical Sales Team for your specific use case. RAID is an integral part of any server. That's why all our Dedicated Servers comes with RAID. RAID is an integral part of any server. That's why all our Dedicated Servers come with RAID. Save up to $948 annually! This discount doesn't end until you close your account. That means the longer you stay with us, the more you save! Create a web based tool for teaching students. It has to support hosting thousands of lessons with videos and it should be able to grow to fit my needs. Need advice on your project? We’ll provide the solution. We understand that finding the right Dedicated Server can be complicated. Let's work together to customize a server that meets your needs. For those rare, complex cases that require more than Launch Assist, our System Admins are available with optional Managed Hosting hours to complete these laborious tasks while you focus on the business! Have more questions about Launch Assist or Managed Hosting? Chat with our Technical Sales Team to learn more. Bottom line: the SSD upgrade means improved performance, increased uptime and lower power needs. RAID (Redundant Array of Independent Disks) is a way of storing your data in two places by placing data on multiple hard disks. By placing data on multiple disks your data is conveniently and automatically backed up, increasing fault tolerance. Our Elite server and all of our Commercial Class servers come with flexible and powerful hardware RAID solutions from LSI and Lenovo. Speak to our Technical Sales Team about the RAID array configuration they recommend for you. At InMotion Hosting, we do not offer unmetered data transfer. We believe in being upfront about what you can do with your server and don't secretly limit how much you can use. Learn more about what unmetered data transfer really means for you. Click here to read more. Each dedicated server package includes at least 2 hours of Launch Assist. Just tell them what custom needs you have, and we'll take care of it. Examples include: specific software version installation, clustered server setups, file migration, and much more. Remote KVMs or IPMIs (Intelligent Platform Management Interfaces) provide lights-out management (LOM) access to your Dedicated Server. It’s the next best thing to having physical access to your server and it allows the complete installation and management of the Operating System of your choice. Remote management operations including remote reboot, shutdown & powering on. Get started today and the first month is on us! &dash; just Chat with our Technical Sales Team! FREE / $25/mo. ? FREE / $25/mo. ? FREE / $25/mo. ? FREE / $25/mo. ? FREE / $25/mo. ? FREE / $25/mo. ? Get started remotely administering your server for FREE! This gives you the freedom to remotely support and administer the Operating System of your choosing. Get it free for up to 30 days at a time and for continual access, it's only $25/mo. Order one with your server or Talk to our Sales Team to get started! Install software like a pro using Softaculous - a growing collection of 440 installation scripts designed to work with cPanel by automatically installing programs like Wordpress, PrestaShop, Joomla!, and many more! Optional $5/mo. Optional $5/mo. Optional $5/mo. Optional $5/mo. Optional $5/mo. Optional $5/mo. This industry leading hosting platform is everything you need to simplify server and website management. Unlock the potential of your server using cPanel + WHM to quickly and easily handle routine tasks like creating and managing databases, websites and email networks with just a few clicks. Don't want a Control Panel? You can remove cPanel + WHM during checkout for additional savings! $99 FREE! $99 FREE! $99 FREE! $99 FREE! $99 FREE! $99 FREE! More RAM and faster hard drives including SSD's! In the rare event a hardware component should fail, we guarantee to replace the failed component within 2 hours. This guarantee covers the replacement of CPU(s), motherboards, NIC(s), RAM, hard drives and other related hardware. The 2 hour guarantee does not cover data migration times involving failed hard drives. Our award winning support makes running a Dedicated Server as easy as a shared or VPS hosting account. We support all the standard tools available from your Control Panel plus much more. Need PHP5 instead of PHP4.4? What about MySQL5 instead of MySQL 4.1? We can do it for you! We can provide root access for FREE via our Sales Team. We also offer optional Remote KVM access to gain lights-out management (LOM) capabilities with your server. It’s available now for $50/mo from our Technical Sales Team. We also offer optional Cisco Hardware Firewalls to give you more flexibility for your server. Learn more from our Sales team. The server specs shown above are for the Los Angeles, CA data center. InMotion Hosting leads the pack. 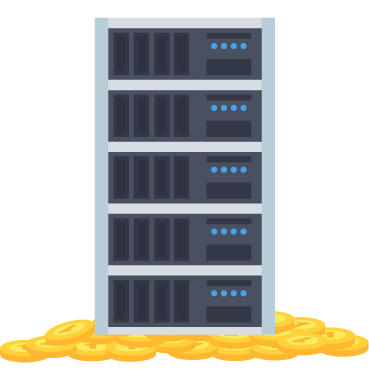 With 99.999% network up-time, and top tier bandwidth network, our Dedicated Servers also include cPanel complimented with up to 4 hours of free Managed Hosting service. Up to 4 hours of Free Managed Hosting service to get your server setup how you want it. 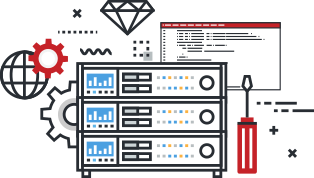 Just tell us your custom server specifications, and we'll take care of it. Easy online access to the current network condition of a provider so that you can be as informed as possible in the event of any network issues. These generalized recommendations only scratch the surface of what we can do. Let our Technical Sales Team customize a server to meet your specific needs! This approximation was based on a site containing 100 items, optimized images, and limited server side media streaming. InMotion Hosting is dedicated to helping you find the right solution. The use cases we've provided below only scratch the surface of what's available. We manage both the hardware of your server and the pre-installed LAMP stack with cPanel/WHM. Any updates or security patches are installed and maintained by us as well as having a maximum 2 hour hardware replacement guarantee. How long will it take to get my dedicated server provisioned and set up? Generally, a standard setup is completed within 30 minutes, and a custom setup within 24 hours. However, in the event of unforeseen circumstances, these times could be as much as double the initial quote. Setup times will vary based on data center location. Can I upgrade my InMotion Shared Hosting, Reseller Hosting or VPS Hosting account to a Dedicated Server? Can I upgrade my dedicated server's hardware? What is the cost? How do I add additional IP addresses? What is the fee? InMotion Hosting gives an generous amount of free dedicated IPs, but if you find yourself looking for more, please contact our Sales team. We charge $2/mo charged upfront for the year at $24 per IP address. What web-based control panel do you offer to manage my dedicated server? All of our servers come pre-installed with a full license of cPanel with WHM. In order to see all options within WHM you would need to request Root Access through AMP once the account is setup. When there is a hardware failure, who is responsible for the server hardware and how long will it take to fix? In the case of any hardware failure, we are 100% responsible for replacing and/or repairing any dedicated server hardware. Under most circumstances we are able to replace hardware within 2 hours from the time of detection. What is your network uptime? Most of our competitors post a 100% uptime. We want to be honest with our customers by not rounding up to 100%. Our current uptime is 99.999%. We do this by making sure we have redundancies in the network and systems in place to prevent network errors. What services do you provide to transfer my websites and data from my current hosting provider to you? Do you have a money-back guarantee? What if we prepaid for the year? We provide a 30 day FULL money back guarantee. No catch! Unlike our competitors, if you prepaid for the year, we prorate what you used and return the rest. We want to give you the best experience, no matter if you’re coming to or leaving InMotion Hosting. No refunds available for Remote KVMs. Managed Hosting picks up where Premier Support™ leaves off. This small team works with you to help you accomplish your goals – from creating best-fit solutions, to managing your server for you. Are you interested in learning about the difference between VPS and Dedicated Servers? Click Here. Spend time with clients and coding, not hassling with hosting. Take control of your dedicated server and utilize it as you see fit. With our CentOS environment and optional Root Access, the possibilities are endless. Call us today to get started! Level 3 Communications, Inc. is a premier provider of global communication services, creating solutions that strengthen the growth, efficiency and security of businesses around the world. GTT provides the fastest and most reliable Internet experience available anywhere. Whether you are an enterprise, content provider, carrier or cloud service provider, our Internet services provide the scalability and performance that organizations need to connect globally. Hurricane Electric operates the largest Internet Protocol version 6 (IPv6) transit network globally, as measured by the count of interconnections to other networks. Hurricane Electric provided 80,487 tunnels spanning 169 countries. 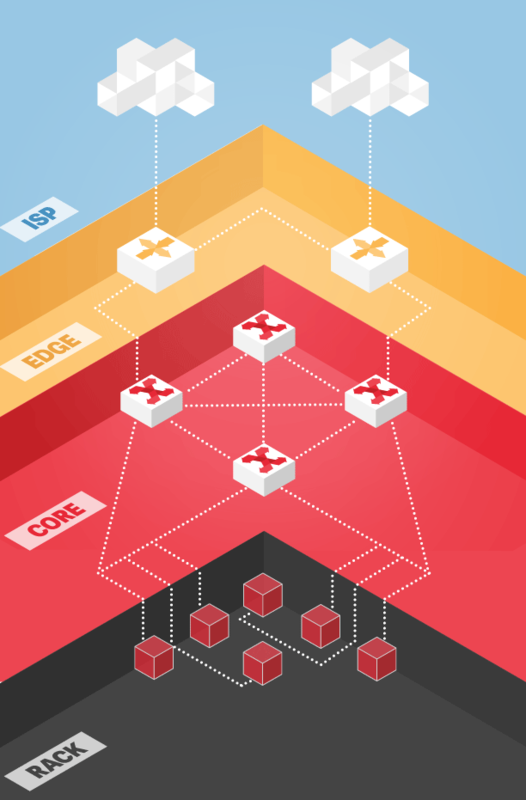 Unlike most our competitors, InMotion Hosting utilizes both Edge and Core routing to increase speed and redundancy. We use enterprise routers in all of our data centers and partner with Corero to defend against DDoS attacks that leads to unplanned server outages. InMotion Hosting uses multi-layer, high-performance switches. These switches layer several scripts and APIs to dynamically route traffic within the network based on demand, helping ensure you stay online. InMotion Hosting uses dual high-performance fiber optic links from the ISP to the top of our racks. This provides lower latency and higher transfer rates. InMotion Hosting also provides extremely fast 1Gbps (1000Mbps) Ethernet uplink connections on all of our Dedicated Servers. Our Managed Dedicated Servers are built to support advanced WordPress users. Every Dedicated Server Hosting plan utilizes SSDs for primary storage, which are 20X faster than traditional HDDs. Upgrade to a Dedicated Server to avoid any overages or resource limits on smaller plans. WordPress installs are quick and easy using cPanel, which is included on every Dedicated Server at no extra cost. Our managed servers come with Auto-Updates & Corero DDoS protection, to help avoid vulnerabilities and increase performance and reliability. Fully compatible with Auto SSL and Free 3rd party SSLs (Comodo, Let’s Encrypt, etc.). 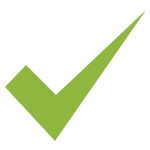 Utilize our helpful support articles to easily migrate yourself. Or have our System Admins handle it for you, both involve zero downtime. InMotion Hosting offers multiple ways of payments for our global customers. We accept all major credit cards, Purchase Orders, PayPal and Checks. Chat with us today to learn more about our payment options. CMSs - WordPress, Joomla!, Drupal, MediaWiki. This is a just an example of how we can assist you in launching your web hosting project. Use Launch Assist, which is up to 4 FREE hours with our Managed Hosting Team, to get the most out of your new server. Tell our Technical Sales Team what you need configured, your preferred data center location and we’ll and handle it for you.